Beleaguered tech giant Sony is taking steps to right the ship this week, with its Sony Mobile division announcing a move back to Tokyo and a 15 percent reduction in its global workforce. 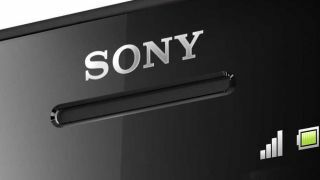 Sony Mobile's headquarters in Lund, Sweden will be closed, with the company notifying Swedish authorities that 650 jobs will be lost as a result. Another 350 jobs will also go on the chopping block over the next year, which Electronista is reporting will be primarily made up of Swedish consultants. And, Sony Mobile isn't the only casualty of the parent company's reorganization following a $312 million Q1 loss. Britain's Sony Liverpool software studios are also being closed. Senior Vice President of Sony Computer Entertainment Worldwide Studios Michael Denny told staffers the Liverpool studio was being "reorganized." But the WWSE Team Liverpool studio where the company's legendary WipEout was created is definitely closed, Sony confirmed. The Liverpool studios were opened in 1984 by Psygnosis, who was purchased by Sony in 1993 and rebranded as Sony Liverpool six years later. The Sony Liverpool campus will continue to host FQA, GFPQA, XDev, CSG-Video, Localisation services and WWSE Finance, with some WWSE Team Liverpool staffers relocated to other departments, while others will become victims of further cuts. Sony plans to cut 10,000 jobs worldwide as part of its "One Sony" restructuring efforts.